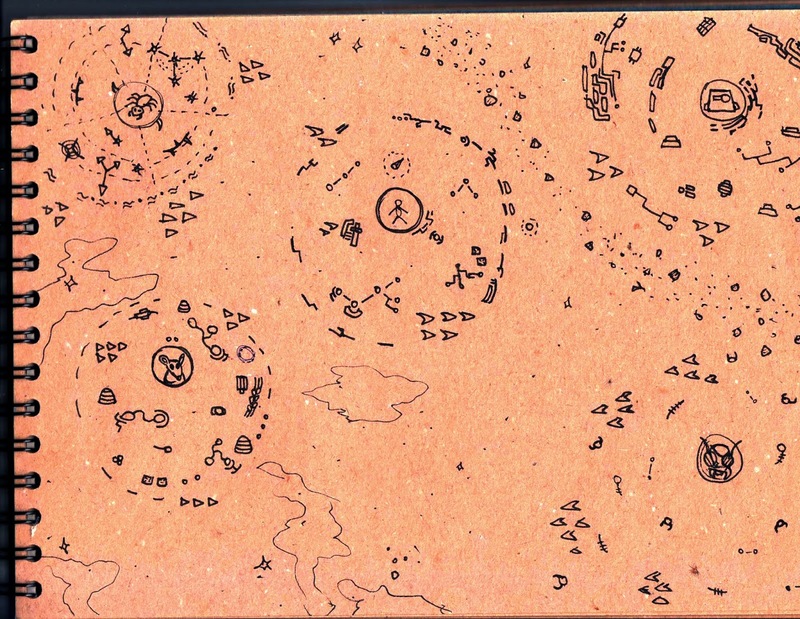 A quick sketch of the universe map in Rogue Ambassador. Each space civilization/species currently shows a pattern reflecting the style of its infrastructure (which will there for purely aesthetic reasons). Some of the species will be visible at the game start, others will be revealed as the story (intertwined with interspecies diplomacy) progresses. The areas of influence for each species will be represented by colored areas and will be changing as you play. For example, if you are able to successfully finish a sabotage mission against a Locust fuel station (which would leave their distant fleet open to the Scrat Empire attack), it would result in a big piece "bitten" out of Locust's influence territory, and added to the Scrat Empire territory. This screen will also function as the mission selection and info map. The final version will be larger and full of strange little species/civilizations (but we start with the major players in the game story). How does the map feel? Any ideas or questions? Have a great weekend, guys!